The first time I became a mother, I admit I wasn’t prepared for the sheer amount of work that went into a single day of caring for a newborn. As soon as I had fed my baby, it was time to bathe and change her.By this time her tiny tummy was hungry again and I had to start all over again. For the first several weeks, it seemed like all I was doing was feeding, bathing and changing. It didn’t matter if it was the middle of the night, the weekend or at dinner – it was what my life had become! I’m sure you’ve all felt the same way during those early days, but what about our babies? For them, their life IS just these three activities! Of course, all that feeding is helping her grow strong, and the bathing is keeping her fresh, but the frequent diapering can take its toll on her delicate skin. That’s why it’s extremely important to take great care about the products you use while diapering your baby. 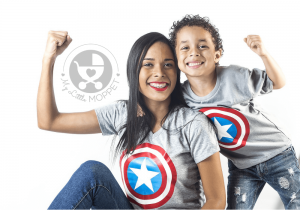 Are you following safe diapering? Most modern Moms use baby wipes nowadays to clean their little ones’ bottoms, but do we know what goes into them? Most advertisements for baby wipes focus on the moisturizing elements in them, but that’s just half the truth. Chemicals like propylene glycol, phenoxyethanol, parabens and others are likely o cause skin allergies as well as alter the pH of skin. Considering how much more permeable baby skin is, they are more vulnerable to the harmful effects of these chemicals. Even labels like ‘pure’,‘unadulterated’, ‘hypoallergenic’, ‘mild’ and ‘gentle’ are misleading and do not guarantee the safety of a product. Not to mention that most wipes are made from materials that take a long time to decompose,hurting the earth in the long run. 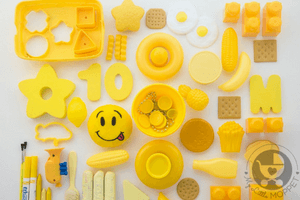 So what is a modern, yet environment friendly Mom to do? 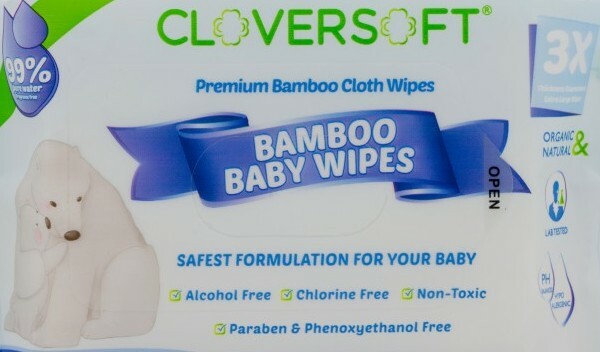 You could go back to using cloth and water,or you could try something new, like Cloversoft Bamboo Baby Wipes. Yes, they’ve got long names, but there’s also a long list of benefits to using it! Free of Alcohol, Chlorine, Phthalates, Paraben, Phenoxyethanol and Formaldehyde. The Pure Water variety contains 99% pure water, making it the mildest variety of baby wipes that you can find. They’re also lab tested and found to be safe for the face and mouth. The Extra Moisture kind of wipes contains 50% extra organic aloe vera for extra moisturization in case of dry skin. 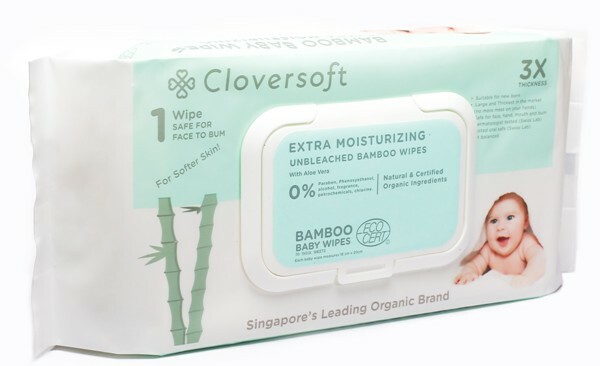 What’s more, Cloversoft Organic Bamboo Baby Wipes are a handy option for travel since they come in packs of 40 sheets. 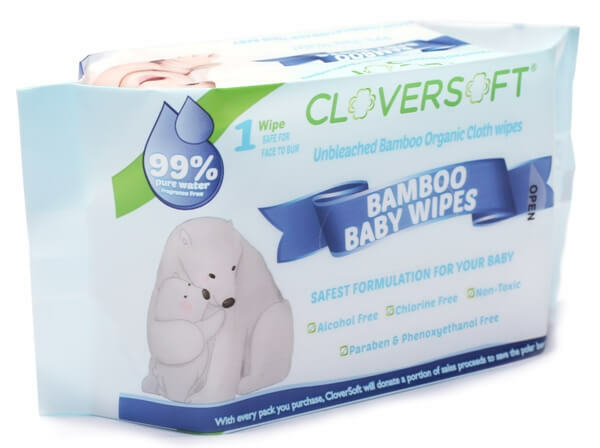 We got all three varieties of Cloversoft Unbleached Bamboo Baby Wipes, which was great! 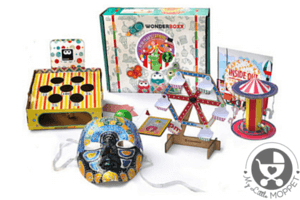 The packaging is sturdy enough and contains pretty much everything you need to know about the product. 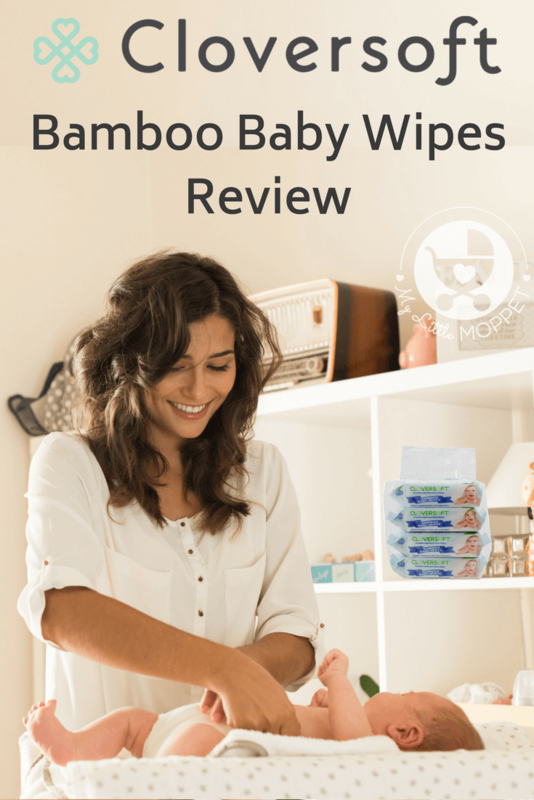 The sheets are true to their claim of being much thicker than regular wipes – they almost felt like towels!They’re also larger, which means you may not need as many wipes as with the smaller versions. However, the most striking feature was a certain earthy feel to it. Touching the wipes made you realize that this wasn’t made of any synthetic material. This also gives me the peace of mind that I’m not polluting the environment any further. The wipes are completely fragrance-free and feel great to use. The pure water wipes are perfect for a hot day, and since it’s made of 99% water, I had no qualms about wiping my kids’ grimy faces all over!The extra moisturizing wipes feel very refreshing, and are a good option for traveling, when it might not be practical to carry a moisturizing tub with you. I personally think these are better than getting all sweaty with a moisturizer cream in summer. 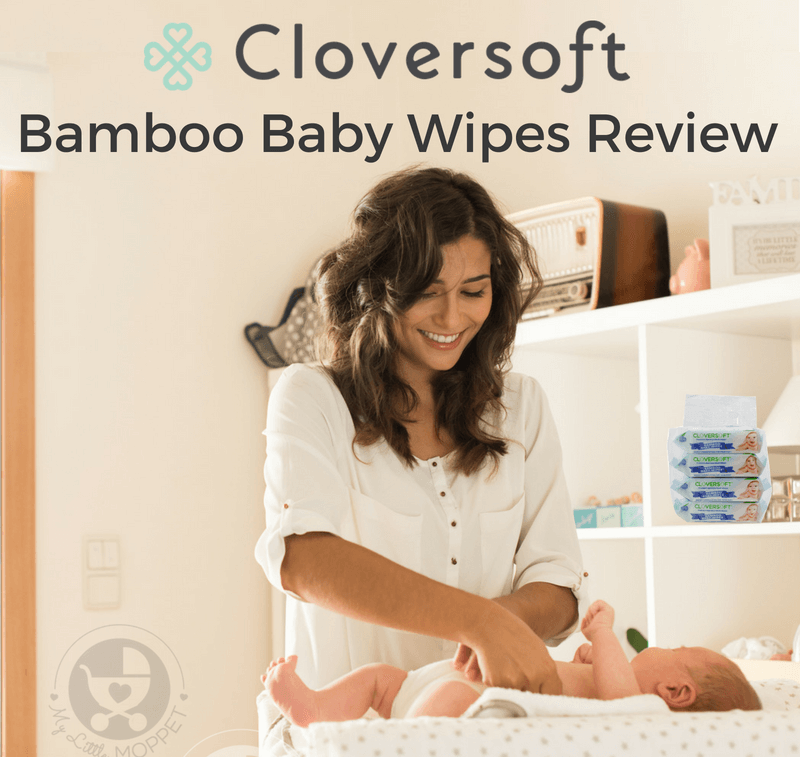 The Cloversoft Organic Bamboo Baby Wipes are probably my favourite! They are easier to carry in my bag and have the same formulation of pure water, but in a smaller pack. 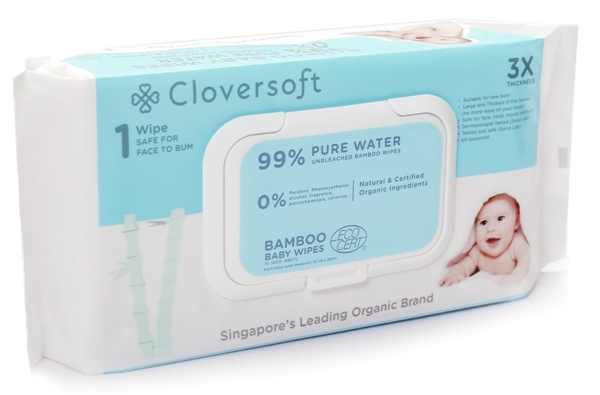 Each variant of the Cloversoft Baby Wipes has a specific purpose, so they’re all useful in their own way. These wipes are also a good option for Moms to remove makeup or simply freshen up, so they are truly multipurpose! And since they’re made from purely plant ingredients, you don’t have to worry about harmful chemicals hurting your body or the environment. 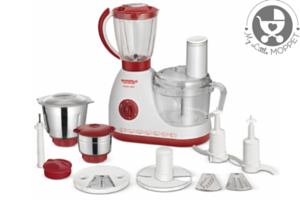 My verdict – go for these– you’ll get addicted to them!